Noise Punk! Ramones meets the Wankys. Featuring ex members of Chewed up and current members of Casual Nausea. Silly fuzzy fast punk rock fun! 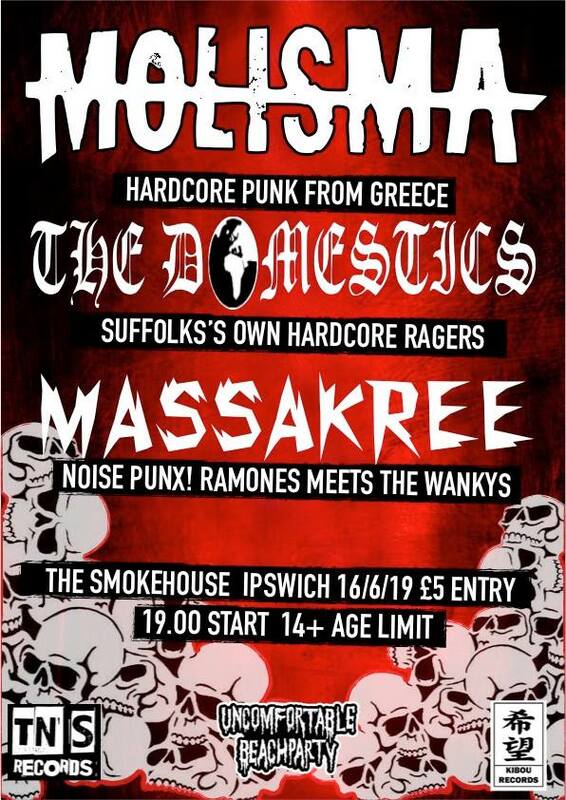 £5 Entry all money to the bands, Molisma have come along way so lets all make sure they have a lovely night! 19.00 start as it's a school night. 14+ age limit bring ID for Booze! Lets have a right old knees up!